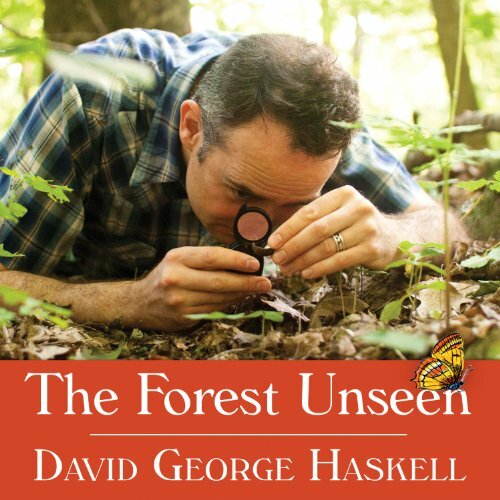 In this wholly original audiobook, biologist David Haskell uses a one-square-meter patch of old-growth Tennessee forest as a window into the entire natural world. Visiting it almost daily for one year to trace nature's path through the seasons, he brings the forest and its inhabitants to vivid life. Each of this audiobook's short chapters begins with a simple observation: a salamander scuttling across the leaf litter; the first blossom of spring wildflowers. From these, Haskell spins a brilliant web of biology and ecology, explaining the science that binds together the tiniest microbes and the largest mammals and describing the ecosystems that have cycled for thousands - sometimes millions - of years. Each visit to the forest presents a nature story in miniature as Haskell elegantly teases out the intricate relationships that order the creatures and plants that call it home. Written with remarkable grace and empathy, The Forest Unseen is a grand tour of nature in all its profundity. Haskell is a perfect guide into the world that exists beneath our feet and beyond our backyards.